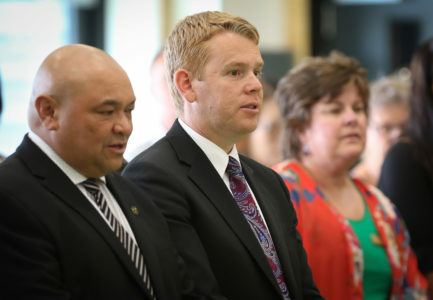 It’s not very often that a politician gives credit to a member of the opposition, but that is exactly what Minister of Education Chris Hipkins graciously did at the opening of new school Te Uho o te Nikau Primary School on Flat Bush Road. Hipkins graciously acknowledged former education minister Nikki Kaye for her contribution to the launch of the school. Kaye, who was trying to appear as nondescript as possible as she kept her distance from being centre stage, looked pleasantly surprised. Hipkins also said that he loved the welcome sign the kids had specially made for him. “Whenever I’m at these type of events I think of the wonderful quote from Winston Churchill. ‘First we shape our building then they shape us,’- particularly true where schools are concerned,” he said. 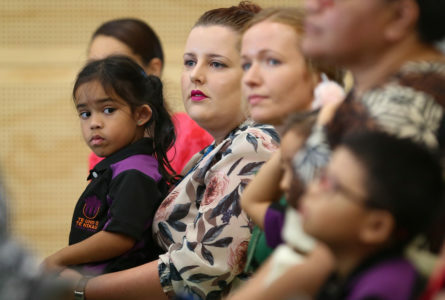 Foundation principal Mel Bland, who spent almost a year working out of Ormiston Junior College during construction, was as enthusiastic as the students. An emotional Bland acknowledged the foundation staff members, students and board of trustees. 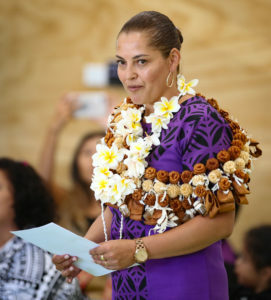 An emotional Bland acknowledged the foundation staff members, board of trustees, caretaker and the people who built the school, as well as the company that designed the school uniforms and the handful of foundation students that have enrolled at the school.